Dr Emily Chen is a new addition to our team. She graduated with a Bachelors of Optometry with First Class Honours at the University of New South Wales in 2013. In her final year of optometry she undertook a placement at OMNI Eye Centre in Atlanta USA working alongside ophthalmologists experienced in treating ocular diseases. 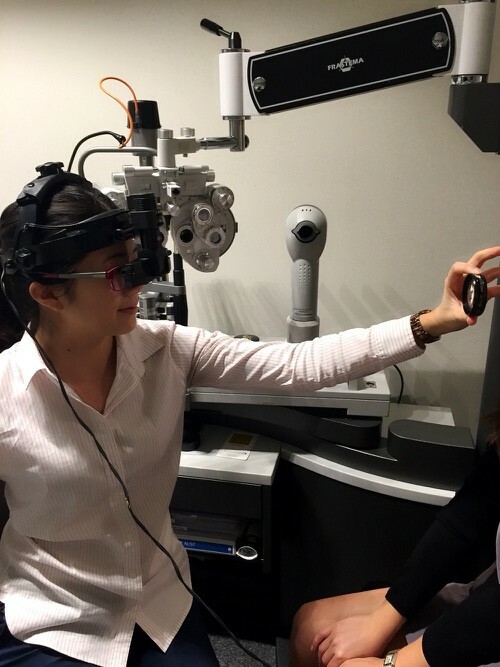 Dr Emily Chen began her career in the regional NSW and is passionate about providing personalised and comprehensive eye care to all her patients. She has a special interest in children’s vision, myopia control and Ortho-k lenses. Dr Emily Chen is therapeutically endorsed and can prescribe a wide variety of ocular medication. She is experienced in treating red eye conditions and removing foreign bodies. She has also been involved with co-managing glaucoma, macular degeneration, and laser eye surgery patients with ophthalmologists. In addition to English, Dr Emily Chen speaks Mandarin. In her spare time, Emily enjoys an active lifestyle. She likes running, swimming and outdoor activities.